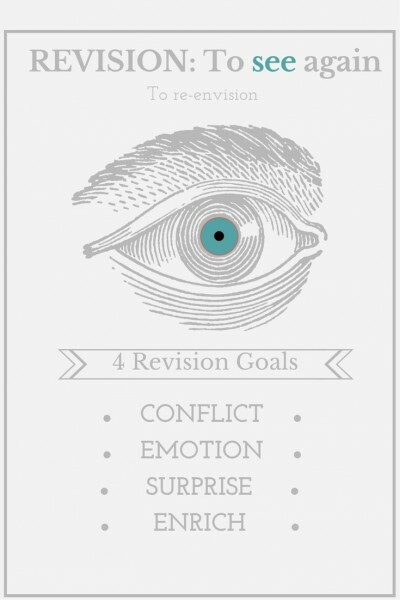 For the next month, my writing goals for my work-in-progress novel trilogy are clear: conflict, emotion, surprise, enrich. The trilogy is tentatively called, The Blue Planets, and is an early-teen or YA science fiction. Book 1, The Blue Marble, has a complete draft; for Books 2 and 3, I have complete outlines. I’m happy with all of it, but I know it needs to go much farther before anyone sees it. For the next month, I’ll work simultaneously on revising Book 1 and the outlines, trying to weave them into a more coherent whole. Conflict. The first goal in revising The Blue Planets is to up the conflict. No conflict = no story, no readers. Small conflict = small readership. Big conflict = bigger readership. Huge, gut-wrenching, moral-decison-making conflict = huge, engaged readership. I’ll be looking at conflict globally and in each scene. Man v. nature is built into the story in powerful ways already. But I need to look at man v. man, both overall and in each scene. How can I put people at odds in more ways and in more interesting ways? What emotional things happened just before this scene? What’s the attitude of each character coming in? What is the worst thing–emotionally–that could happen to the main character? That’s what I must confront him with. What is the emotional arc of the scene? What else can I do to deepen the emotional impact? Surprise. Readers read for entertainment. If they can predict exactly what happens in a story, they’re bored. I’ll go through–especially the outlines–and ask, “What does the reader expect here?” I’ll look for ways to twist that expectation to fulfill it, but with a twist. Enrich. I’m excited about enriching the stories, because this part gets past the basic plotting and into fun stuff. Where can I add humor? Here are previous posts on 3 humor techniques and then 5 more. I’m hoping for a running gag, at least. I’ll be working to tie the three books together through scene, character, bits of dialogue, running gags, perhaps a bit of clothing, or a mug of triple-shot venti mocha–something. Enrichment might be adding bits of scientific information artfully, without doing an information dump. Making the characters quirkier and more fun to be around. Loosening up on dialogue. By the middle to end of July, I expect the BLUES to be in shape to send out. I’m excited. What are your goals for summer writing? My goals are to revise a mystery I wrote in the past year. I have your book on revision to help me, by the way. Love this post, and am impressed that you’ve already outlined the next two books as you work on the first in your trilogy. Thanks! The outlines are rough, but done.